I am so happy that you decided to join me. I promise you that this blog will be eclectic, creative, and honest. Who knows where each day will take us? I want to share, learn, cry, and laugh with whoever is brave enough to weather the highs and lows with me. The concept for this blog came to me one day when I was feeling about as isolated as I ever want to feel again. You should know, I am a very complex person. I can be quite serious but equally silly. I have an abundance of professional experience and college debt (a Freudian slip there, I meant to say education). 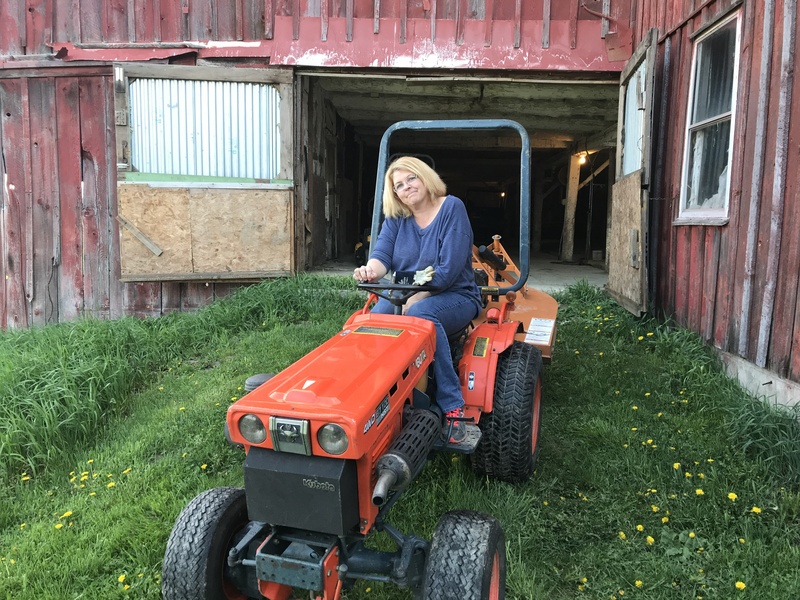 I live on a 59 acre farm in rural Northeastern Pennsylvania with my husband. Together, we have four amazing adult sons, 2.5 beautiful daughters-in-law, and four grandchildren (number five is due next month). This area is beautiful and peaceful, with one drawback—there are very few jobs. So, I am trying to make a go of blogging, writing product and book reviews, articles and books, growing Christmas trees, selling my art, and finding honest and decent people for inspiration and good company. This is the start of what I hope will be a wonderful and positive experience. I have always favored stories of human perseverance and triumph, so this will not be a platform for me or any followers to wallow in self pity, whine or complain. Here I will mention that I have several disabling conditions (multiple sclerosis, fibromyalgia, Lyme disease, and lots and lots of arthritis), but I choose to follow my youngest son’s advice which was “keep on striving, pushing your limits and now know that you are doing these things despite those issues”. My hope is that we can inspire one another, lead by example, and always move forward. Each day, I will share something positive with you. Maybe it will be a reflection on something learned or experienced, a funny story, a request for ideas, a how-to tutorial, or plans for the future. I will always be open to sharing your positive stories and ideas on this blog, but only with your permission. As for the part about crying together, I hope it is obvious that I meant tears of joy or tears that spring up from an overwhelming sense of pride or amazement. There is so much pain, violence, and hatred in this world, we all need, I need, more positivity, hope, and joy. Let’s go then, let’s walk together and choose to see what is uplifting and admirable, despite the world’s “issues”.